With three minor exceptions, the titles of my sixteen books are the ones I originally proposed. In A Woman Unafraid: The Achievements of Frances Perkins (Atheneum, 1993), “Not Afraid” was changed to “Unafraid” (the designer said it fit better on the cover). “The” was changed to “A” in Toilets, Bathtubs, Sinks and Sewers: A History of the Bathroom (Atheneum, 1994)(my editor thought “The” was presumptuous). And “Cemeteries” was changed to “Crypts” in Corpses, Coffins, and Crypts: A History of Burial (Henry Holt, 1997). My editor wanted to evoke “Tales from the Crypt,” a hit television show at the time. Given that track record, the title of my new book—Elizabeth Cady Stanton and Susan B. Anthony: A Friendship That Changed the World (Henry Holt, 2011)—had a mind of it’s own; at least that’s how it seemed to me. 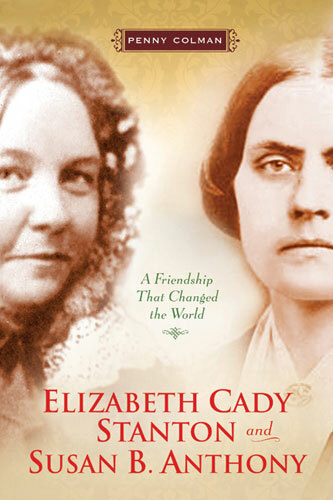 My original title for this book about the legendary friendship between Elizabeth Cady Stanton and Susan B. Anthony and their fierce fight for women’s rights was "I Forged the Thunderbolts, She Fired Them: Elizabeth Cady Stanton and Susan B. Anthony, a Biography of a Powerful Friendship." The main title is a quotation by Elizabeth Cady Stanton that describes the dichotomous way that their friendship was and still is typically characterized. But as I immersed myself in my research, I realized that that quote oversimplified the complexity of their friendship. I also began to wonder if perhaps Elizabeth and Susan, both brilliant strategists, perpetuated the notion that one excelled at this and the other at that as a way to legitimate their closeness. Those realizations prompted me to rethink the title. So what were they about? “Stirring up the world,” according to Susan, a sentiment that Elizabeth also echoed. That then became the new title: "Stirring Up the World: Elizabeth Cady Stanton and Susan B. Anthony, a Biography of a Powerful Friendship." 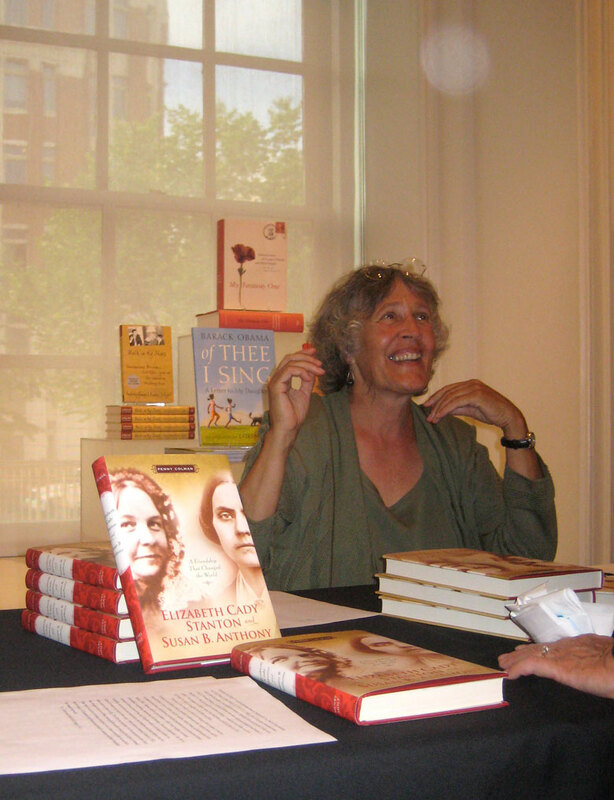 For several years, it remained the title, which I affectionately shortened to “Stirring,” whenever I talked to the graduate students in the classes I taught at Queens College, the City University of New York, about doing research and writing about Elizabeth Cady Stanton and Susan B. Anthony and their fifty-one-year friendship that fueled and sustained the nineteenth-century fight for women’s rights. Then one day, as I was about to finish the manuscript, the thought occurred to me that they did more than stir up things—they changed history. And with that insight, this title spontaneously popped up: Elizabeth Cady Stanton & Susan B. Anthony: A Friendship That Changed History. I emailed my editor, who liked it very much and agreed to use it. Replacing the ampersand was okay, but, whoa, I thought, how did “world” get inserted? My editor didn’t know, but said it was up to me whether or not to keep it. And I did because it is true. Elizabeth Cady Stanton and Susan B. Anthony did change the world; besides who was I to argue with a title that clearly had a mind of its own. Like Penny's author page at facebook.